DTC Fiesta Plus is a good Phablet because it features a 6 inch HD Display with quad-core processor, 1GB of RAM, 8GB of internal storage, 2,700mAh battery and runs on Android Jelly Bean OS. 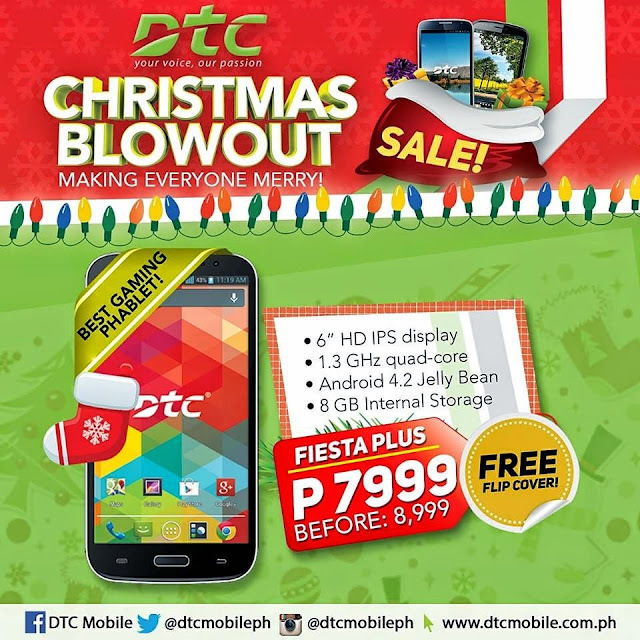 However, it was too expensive when it was launched back in July 2014, but today, DTC announced that they cut Php 1,000 on the original price of Fiesta Plus. Which means from ₱8,999 to ₱7,999 only.